DETROIT (WJBK) – Mayor Mike Duggan has sued the state over no-fault insurance, calling it unconstitutional. The lawsuit argues the mandatory no-fault auto insurance system violates the constitutional rights of Michiganders because the insurance costs are so high. According to the suit, our annual auto insurance premium of $3,059 is double the national average cost: $1,512. More so, the lawsuit argues that the extremely high cost significantly affects the Detroit population, where those drivers pay an average of $6,197 a year for coverage. “Right now it’s either put food on my table or pay this high insurance,” said Gladys ‘Peggy’ Noble. It’s a choice no one should have to make, much less a 76-year-old retiree. Meet Gladys Noble, a Detroiter living on a fixed income. She is one of several plaintiffs suing the state over its no-fault insurance law, saying it discriminates against the poor. “There are a whole lot of people in Michigan making $10 or $12 dollars an hour,” said Mayor Mike Duggan. “Who are driving illegally to work because they don’t have any choice. The mayor has long been a proponent of insurance reform in Detroit, where many go uninsured, and even announced his own proposal last year to combat the high insurance rates. The proposal was defeated. Duggan filed the lawsuit in federal court Thursday. The Michigan Supreme Court ruled 40 years ago that because no-fault insurance was mandatory for all drivers, Michigan had to make sure it was available on a fair and equitable basis and the rates were not excessive or unfairly discriminatory. But now, according to the lawsuit, Detroiters pay an average of $6,100 a year for car insurance. The average yearly premium in Michigan is about $3,000. That’s more than double the average in Ohio, Illinois and Indiana. The lawsuit is asking the court to put Lansing on the clock, demanding the governor and legislature revamp the insurance system within six months. The effort is not without its critics. “I think it’s important that we understand the importance of really getting to the core challenges and issues and that’s redlining,” said Detroit State Rep. Sherry Gay Dagnogo. Dagnogo is chief among them. “The efforts to move forward with a lawsuit that would only address the issue of unaffordability being unconstitutional and then placing the blame on trial lawyers is disingenuous,” she said. Unfair or not, drivers want lower insurance rates and will take it however they can get it. Proponents of the no-fault system point to the benefits, which include: All medical care for a lifetime; wage loss up to three years; replacement services; at-home care; and medical mileage. But all that, of course, comes with a price. 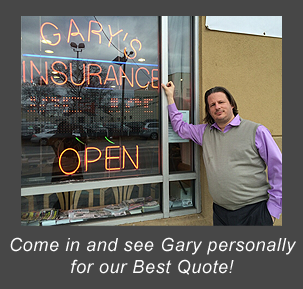 “With a pure tort state, people’s auto insurance rates drops by more than half, overnight. No-fault is great, but, it’s expensive and people don’t really understand the benefit that it offers until normally it’s too late and they’ve been injured in a car accident,” Steve Gursten with Michigan Auto Law told FOX 2 earlier this year, when lawmakers also discussed reforming the system.